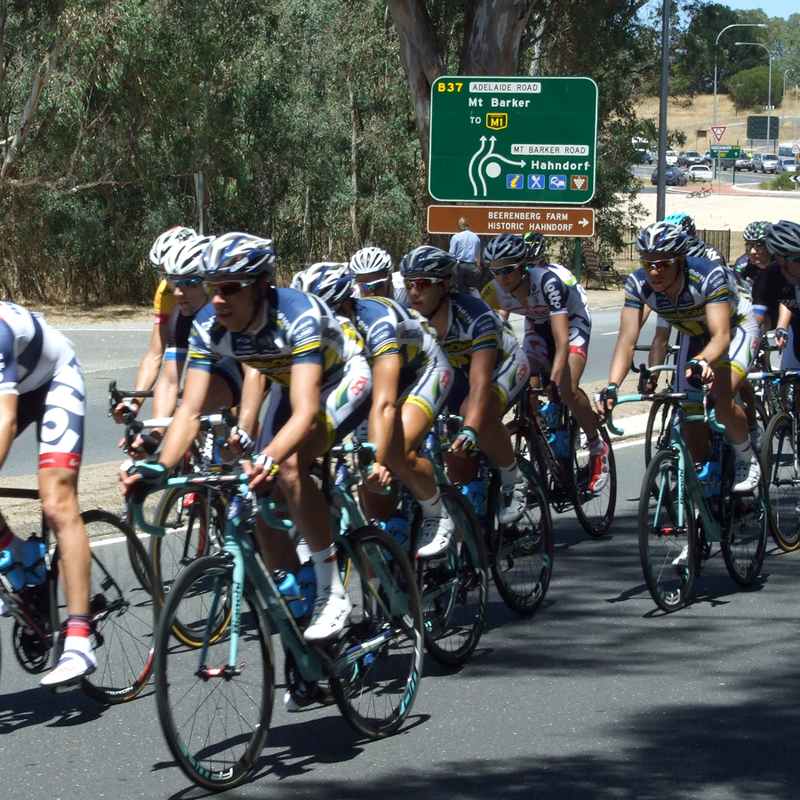 This week the Tour Down Under winds its way through the Adelaide Hills. We always try to see a section of at least one stage. 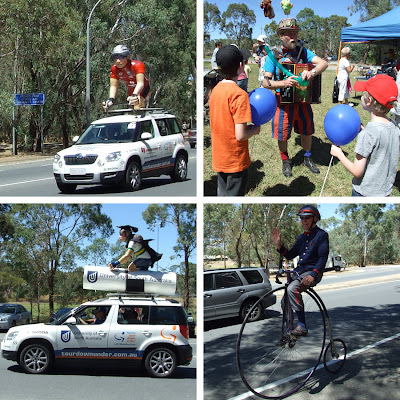 Most years it runs through our town and this year the local community group put on an event with penny farthing bicycle display, entertainment for the kids and free balloons and sausage sizzle amongst other things. Most children are quite excited by all the police motor cycles and helicopters. 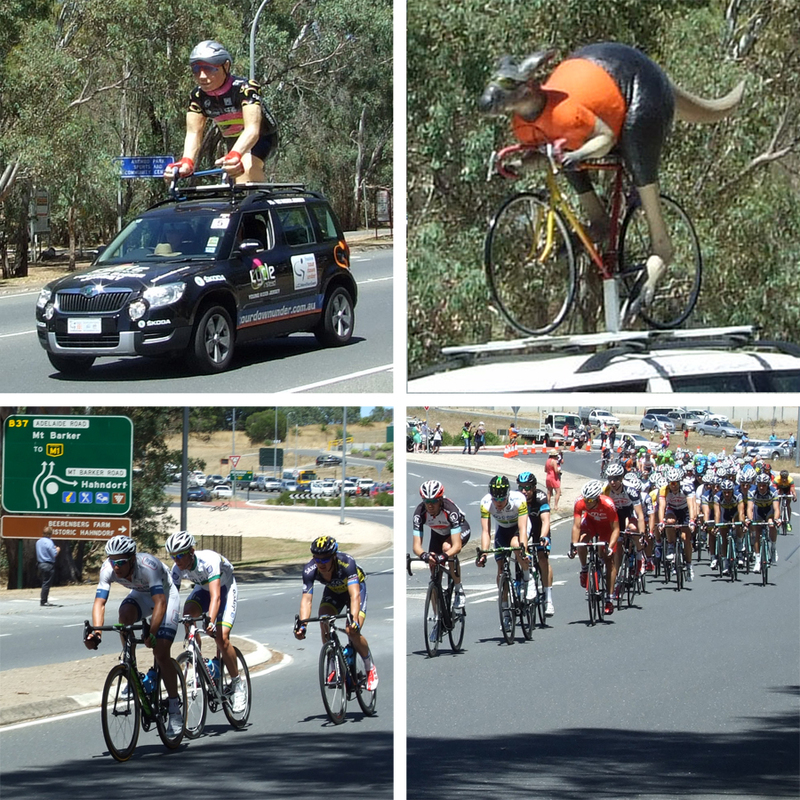 First come the support vehicles followed closely by the bikes and before you know it they are gone.